Northamptonshire's Labour group has had a motion to review street lighting arrangements across the county defeated. Opposition members saw calls for a full review of street lighting in Northamptonshire defeated, despite reports a man had lost his life crossing the road in a dimly lit area. In 2011, contractors Balfour Beatty were called in to replace or upgrade 65,000 street lights across the county to “reduce the county’s carbon emissions, save on energy costs and create a safer and more pleasant environment for everyone”. But Labour councillor Mary Butcher said many people in the county were still being forced to walk down unlit streets in built-up areas four years into the scheme. Speaking at the full county council meeting this morning she said many residents in her ward had complained of feeling “fearful about going out,”. 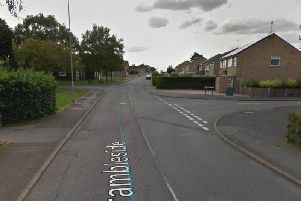 She claimed clubs for the elderly had shut down as members were “afraid of going home in the dark,” and said that late in 2014 Corby man was hit by a van and killed because of “limited visibility” as he crossed the Weldon Road there. Ian Holloway, of Bentinck Way, Blackpool, was hit by a silver Ford Transit van as he crossed Weldon on December 10 last year, and police collision investigators said, during his inquest, that the lack of visibility in that part of the road contributed to the accident. With autumn approaching and the nights drawing in Councillor Butcher called for a full review of the contract with Balfour Beattie to see where lighting can be improved. Her motion was backed up by Councillor Julie Brookfield (Lab, Corby West), who said: “We do not apologise for bringing this to council again just as autumn approaches. “We know that we will be asked by people, why is my street not lit? But the motion was not supported by fellow Liberal Democrat and UKIP opposition members, as most felt a full review would be too costly. The phased replacement scheme being handled by Balfour Beatty is still set to run for a further year and is being funded through a Private Finance Initiative (PFI). Councillor Sally Beardsworth (Lib Dem, Kingsthorpe South) admitted some cul-de-sacs in her Kingsthorpe ward were still a “dark gloom,” but said the best way forward would be for the council to launch a more efficient way of logging street lighting complaints - or flagging faulty lights - as she said many residents were unsure who to contact. Tory councillor Steve Osborne (Con, Long Buckby) said that district councils concerned with the lighting in their areas should consider picking up the tab for new lights themselves. The Labour motion was overwhelmingly defeated after a vote. Cabinet member for highways Councillor Michael Clarke said he believed the contract with Balfour Beatty had delivered improvements and said there was no statistical link between areas of limited street lighting and an increase in crime, as the Labour motion had suggested. He said: “The council’s street lighting program has been a success story.